To ensure client satisfaction, AGS Worldwide Movers has been committed to quality service since 1974. We have stringent quality procedures with regular audits to offer the best to our customers. AGS Worldwide Movers was one of the first companies in the removal industry to implement a recognised and certified quality control procedure, which we continue to implement to this day. The AGS Group counts among its branches the following accreditations: FAIM, ISO and NF Services Removals and Storage. AGS improves its services through working with several partners (AFNOR, FIDI, etc.). 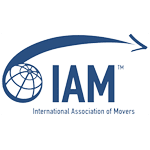 Formerly known as the HHGFAA, IAM is the largest international removals association. Based in the United States, IAM offers worldwide membership. As a member of IAM, we belong to a large network of partners and expatriates. This South American association of international movers brings together a large number of professionals from across the world. 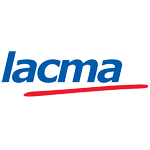 Five AGS branches are members of LACMA. 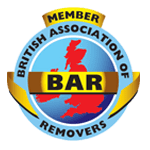 BAR or the British Association of Removers, has been in existence since 1900. Previously known as ‘The Furniture Warehouseman & Removers Association (FWRA)’, it was renamed BAR in 1972. This British association uses mainly European quality standards such as BS EN 12522 and BS EN 14873. The Chambre Syndicale des Entreprises de Déménagement et Garde-Meubles de France regroups 800 removal companies in France and the French Overseas Territories. This association provides information to consumers and guarantees its members’ performance. 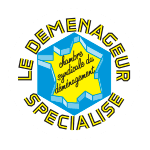 Seven of our branches are members of La Chambre Syndicale des Déménageurs. FIDI is an association of international removal specialists that aims to improve integrity, quality and cooperation in the international removal industry. 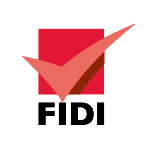 FIDI organises conferences and training and launched the FAIM certification in 1997, a stringent accreditation that is the most prestigious in the industry. FIDI guarantees the good financial standing of its members. This minimises financial risk and uncertainty when selecting agents. If there is risk, the deposit paid by each member will cover all the service fees. FIDI members also have to respect and abide by a strict code of conduct in respect of timeliness, communication and other factors. The association offers a wide range of specialised training courses on the removal process, providing information on various aspects of the trade and operations to ensure quality and financial management. We have set up stringent management systems, which allow for better control of processes including client communications, packing/loading, import/export, storage services and client follow-up. The result is improved control of operational resources, materials and subcontracting. All our branches adhere to the same quality management procedures and criteria based on those set by independent organisations. The quality management is defined by the Group management and applied by branch managers. Quality indicators, management review and corrective and preventive measures are internal tools to ensure constant improvement of our services. Furthermore, AGS guarantees the continuous improvement of our services and the satisfaction of our clients through Mr. GoodMove. We regularly conduct internal quality audits. These audits cover all activities relating to the management of the quality system. Internal audits are conducted by the qualified Quality Manager of the Group, or a member of our independent and qualified auditing staff. The Quality Manager and the auditors ensure follow-ups on corrective measures and the conclusion of internal audits. Results are regularly reviewed by management. All AGS branches are also subject to regular external audits, to ensure that their quality management system functions adequately and is implemented. The Group undergoes an ISO 9001 audit once a year, a FAIM audit every 3 years and an NF audit every 18 months. The standards applied at all the branches are in accordance with the requirements of ISO 9001 (a Group-wide certification) and the quality standards, unique to our industry, such as NF Storage, and FAIM (FIDI-Accredited International Movers). Created in 1997 by FIDI, FAIM is the strictest certification and the most recognised in the removal industry. We are proud to announce that AGS has 31 FAIM accredited branches and offices worldwide. The FAIM certification is aimed at companies that conduct international moves. We use the FAIM accreditation as a guarantee of quality service to our agents. We also use this certification as an additional guarantee that our customers will receive the best quality removal service. The ISO 9001 certification is awarded by the Swiss auditing company, SGS, the worldwide leader in audits and certifications. AGS was first certified in 1998, and since then have been awarded the certification annually. To date, most AGS branches are ISO 9001 certified. The ISO certification is a Group achievement and guarantees that each branch complies with the same quality standards. This confirms the Group’s commitment to its clients. The NF Service Removals and Storage certifications are based on European standards NF EN 12522-1 and 2, and NF EN 14873-1 and 2. All AGS branches in France are certified NF Storage.